In the ever changing landscape of Major League Baseball, one thing remains the same. The American League East continues to be one of the best divisions in baseball, often sending the team that finishes in second to the playoffs as well. 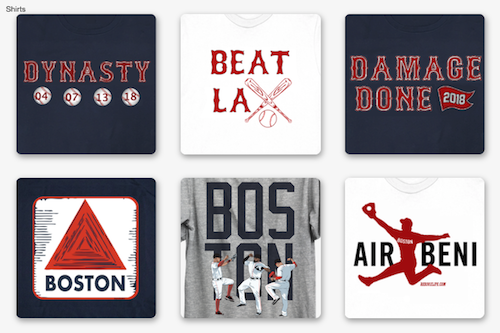 Last season the Boston Red Sox won the division and the Tampa Bay Rays finished in second, then faced off in the ALDS series where the Red Sox won in 4 games, and then you know what else happened. Torii Hunter flipped over the outfield wall, Will Middlebrooks was called for obstruction, Koji Uehara ended a game on a pickoff move, and the Fenway Faithful saw the first championship won on home field in 96 years. 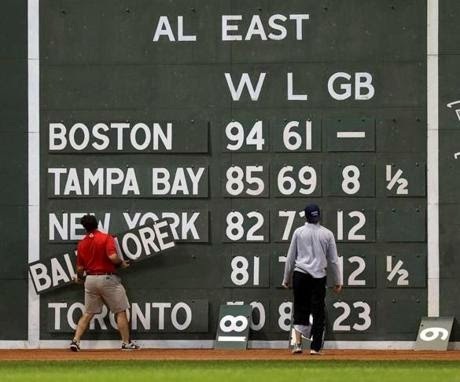 But that was last season, its time to look forward to the 2014 season, a season for the Red Sox to repeat their success. But how will the AL East pan out? The Red Sox will start the season hot and their pitching depth will help them take the AL East crown once again. 95 wins will be enough for the Sox to win the East and they will be lead by the power arms of Jon Lester in the ace pitching spot and Clay Buchholz in the 5 pitching spot. Young guys will start the season slow but will pick up as the weather warms and be in full swing when the summer heatwave hits town. The Yankees may have lost more this season than the Red Sox did, but their big acquisitions outshine all other offseason moves made around the MLB. Tanaka will dazzle the league and will be in contention for a Cy Young award and will be the ace of the Yankees staff. Brian McCann will have an explosive season at and behind the plate. This Yankees team will return to the playoffs by earning a wild card spot. This team runs around David Price, and if he isn't having a fantastic season then don't expect the Rays to contend. Will this happen, not likely. 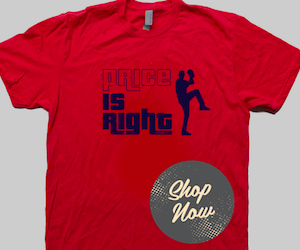 Price will be looking to leave Tampa on top, and will do anything to make sure that Evan Longoria has a productive season and will attemptto make sure that Wil Myers does not have a sophomore slump. Thee Rays they will end just a little short of making the playoffs and will say goodbye to David Price. Baltimore is a big question mark all over the place, they have the talent to contend but their pitching is lacking. Will Manny Machado be ready for opening day? Adam Jones will continue to roam the outfield will expertise and will provide stability at the plate. The biggest question this team will face and will be a hinge of their success will be Chris Davis, was his 50 home run season a fluke, or is his power around to stay? Davis will be "crushed" to finish the season in 4th in the East. Toronto has the runner up in the Face of the MLB competition with Jose Reyes, and that could be the high of their season. Brett Lawrie had injury trouble last season but could be the everyday third baseman for Toronto if he is able to be healthy. I am not convinced that R.A. Dickey will ever pitch as well as he did 2 years ago when he was with the Mets and Mark Buehrle being the teams ace could spell trouble for the Ble Jays and unfortunately they will finish below .500 like last year but have a few more wins. Oh Ryan MacLeod, you think too much with your heart. Your predictions show that you know the game, but you are forgetting something…... Do you remember that girl in High School you always wanted to talk to but never had the.. eh.. baseballs to do it? Back then, to your 16 year old mind, she was perfect in every way. Her hair sat beautifully on her shoulders, her smile as white as a cue ball. The sad thing is, if you ever got to know her, you’d realize she was a flawed as all the other girls you are friends with. The only thing she has that your other girls didn’t? The unknown factor. Because you don’t know her well, all you see is what she shows you; her smile, face, clothes, etc. The Boston Red Sox are that girl from High School. While all the fans talk about what 2013 meant to them, and the players still stand tall over from World Series championship, it will only take a short month before we get to know this team and realize that they’re not all that is cracked up to be. Baseball is about players 1-25, and while Boston has depth and talent, there are just too many questions that no one has asked because we are all looking through our 2013 World Champs glasses that Johnny Gomes threw us at the Duck Boat Parade. This year’s AL East gives you 5 different teams with different strengths and weaknesses. Key Additions: Nelson Cruz, Ubaldo Jimenez, Jemile Weeks. The Orioles will gain from Cruz’s bat, and while he might be on the down slope of his career, he can still hit and provide protection for Chris Davis. The O’s will need Manny Machado to step up and return from his injury as quickly as possible. The pitching is far too weak to give them a chance at the title, and by late July, most Oriole fans will be hoping for prospect Kevin Gausman to come to Baltimore and give them a reason to be happy. Key Additions: AJ Pierzynski, Grady Sizemore. The Red Sox are sitting pretty, and didn’t tinker with their lineup too much from last year, losing starters Stephen Drew, Jarrod Saltalamacchia and Jacoby Ellsbury. Ellsbury’s loss will hurt the Sox more than they think, and while Jackie Bradley is supposed to fill in nicely, he is no Jacoby. Who will fill in at the top of the order? Who will protect Big Papi? The pitching staff of Jon Lester, John Lackey, Clay Buchholz, Jake Peavy and Felix Doubront all overachieved last year, so expect regression from all of them. They are still a very strong starting five, but Doubront has struggled this spring and we still do not know if Buchholz is healthy. The Sox have many big names in the minors, and expect Xander Bogaerts, Will Middlebrooks and Bradley to produce immediately, but I’m not so sure it will be that easy. The Red Sox will also have one of the deepest bullpens in baseball with Burke Badenhop, Edward Mujica and Koji Uehara. While the Sox will contend, they will come up short because they have just too many young players that aren’t ready for the big time role yet. They also didn’t run into the injury bug at all last year; but the baseball Gods might not be as nice two years in a row. All that glitters is not gold. Key Additions: Carlos Beltran, Jacoby Ellsbury, Brian McCann, Masahiro Tanaka. The Yankees aren’t afraid of two things: spending money, and spending money. They paid a lot of money for a completely new starting lineup for 2014 (just Brett Gardner is the same), but plan on reaping the rewards from the first day of the season as everyone is healthy and A-Rod is home sitting in the corner. Their infield is slow and old defensively, as Derek Jeter is 40, Brian Roberts (seriously?) is at second and Kelly Johnson can’t cover much ground at third. Their pitching staff is the ace in the hole here, as Michael Pineda has looked excellent this spring and Ivan Nova seems ready for a breakout. CC Sabathia finally spit out Jose Altuve before weighing in, but will the big change in his body affect his pitching? The Yankees will show their weaknesses by June 1, but the Yankees are hiring and always looking for an expensive hitter to boost their offense. Expect them to be in the race until the final weeks. The Rays have many strengths. Their manager Joe Maddon is one of the best in the game, and their infield defense ain’t too shabby either. Ben Zobrist, Evan Longoria and James Loney can all play the field, and the middle of their lineup (Zobrist, Longoria, Wil Myers) can all get on base. Their pitching staff is young, deep and talented. Don’t expect many poorly pitched games here, as David Price, Alex Cobb, Matt Moore, Chris Archer and Jake Odorizzi keep the Rays high atop the AL East for most of the season. The only weakness I see here is lack of runs scored, as their offense runs dry towards the bottom of the order. This could be the best team in the American League, period. The Jays got sick with the injury bug in 2013, when Brett Lawrie, Jose Reyes, Jose Bautista and Colby Rasmus all missed over 44 games. If their hitters stay healthy, they could be a Wild Card team. Truthfully, they won’t contend, because their starting pitchers lack that “IT” factor. R.A. Dickey is no longer the Cy Young Award Winner, and Mark Buehrle is like the Little Engine That Could. JA Happ, Drew Hutchison and Brandon Morrow round out a group that no one will fear in the AL East this season. So there you have it Red Sox nation. The predictions for the 2014 Major League Baseball season. Ryan has the Red Sox taking the division crown with the Yankees, Rays, Orioles and Blue Jays in tail, where Pete has the Rays taking the title, with the Red Sox, Yankees, Orioles and Blue Jays rounding out the division. While these are just predictions we can look back at them in October when the regular season is to see who came the closest to knowing how the AL East would shake out. Let us know your final standings for the AL East 2014 season either in the comments below or on twitter.